We look at how predictive analytics can help boost engagement levels while helping HR to make better decisions. "Engagement" has been the buzzword in HR circles for quite sometime. With studies showing a high correlation with productivity and a certain loyalty to the company, the investments into building ways and mean to gauge, and in turn assist in boosting employee engagement levels. A Gallup study, for example, points at how companies stand to drive their productivity up by over 20 percent or more by ensuring their workforce remains highly engaged. This becomes more relevant in the light of how studies show a significant fall in how engaged most employees feel around the world. Some estimates by the Gallup put the rates of the disengaged and unmotivated portion of the workforce to be as high as 87 percent worldwide. In a time where the business environment has been getting more competitive and the need of employees to be productive has never been higher, a company stands to lose out on a lot if a significant portion of their workforce is not in tune and engaged with the work that they are currently undertaking. Therefore, it comes as a little surprise that over the years a core part of many HR professionals work has become to drive employee engagement. Done both through the direct interventions and indirectly by designing robust people management processes, a key aim of many HR initiatives remains to drive employee engagement. But even today there exists a gap in how companies understand and drive employee engagement vis-à-vis how such interventions translate into on ground shifts in perception and behavior of an employee towards their world. Although business leaders around the world are fairly aware of the importance of having an engaged workforce, the nuances of employee engagement still remain shrouded in darkness; for many, it then becomes of shooting arrows in hopes that some land on the target. This was exhibited when Gallup noted in a study that in spite of recognition and investment into making employees more engaged in their work, employee engagement levels have “barely budged in over a decade”. Although matter that might not garner top news headlines but an as an undercurrent, such resistance to grow could have larger and long-term effects on the global economy. Often key elements that make up employee engagement initiatives successful are nuanced and difficult to track by just using engagement surveys. Understanding what makes an effective strategy, on the other hand, required deeper insights, often at real-time, to ensure that talent management practices are fine-tuned to boost engagement. The typical approach of an annual engagement survey where levels of engagement are effectively gauged by asking the employee a series of questions. Such a rating system, although serves as a good data point, often lacks the objectivity needed to influence practice change. With respondents likely to remember the recent event the most, the data might also be biased and there are chances of collusion and coordination which often can dilute the effectiveness of such survey in revealing the actual picture. Predictive analytics—or people analytics as it more often called when applied in the field of modern day human capital management— opens the door for HR professionals to delve deeper into employee insights and use better data to bring in necessary changes. With its roots mostly in understanding and predicting customer behaviors, today many companies have begun experimenting it across different functions. The use of predictive analytics in the realm of HR been a major area of development in recent times often in efforts to assess the efficacy of talent management practices. But what is the key shift that can potentially help HR professionals? 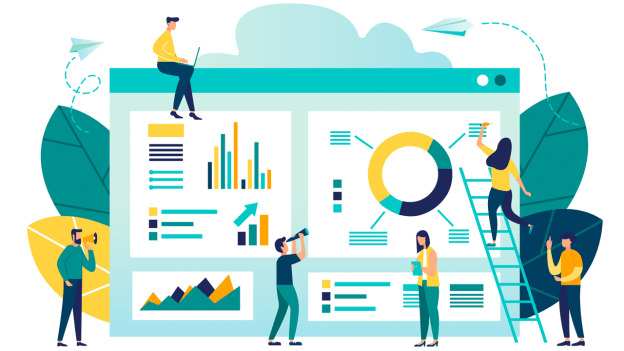 Today analytics can help HR managers make better people decision by collecting data real-time and utilizing data and statistical analytics to create predictive models. Such models don’t necessarily need to be limited to one criterion that measure “engagement” but can be bifurcated to cover and assess it more holistically. Predictive analytics draws its power from a wide range of methods and technologies, including big data, data mining, statistical modeling, machine learning, and assorted mathematical processes. Organizations use predictive analytics to sift through current and historical data to detect trends and forecast events and conditions that should occur at a specific time, based on supplied parameters. This today can be leveraged to assess effectiveness of HR policies around culture, wellness, management quality and time investments, scope, and methodologies of learning programs. But even predictive analytics requires proper data collection and robust rationale behind the nature of such data collection. The predictive model it creates only helps as far as it is able to take in data holistically and for parameters that are of relevance to finetuning management policies. A big part of driving employee engagement needs to stem from proper decision making. And for predictive analytics to be of any use, it’s important that companies undertake the necessary due diligence that’ll help them get the most of their people analytics.